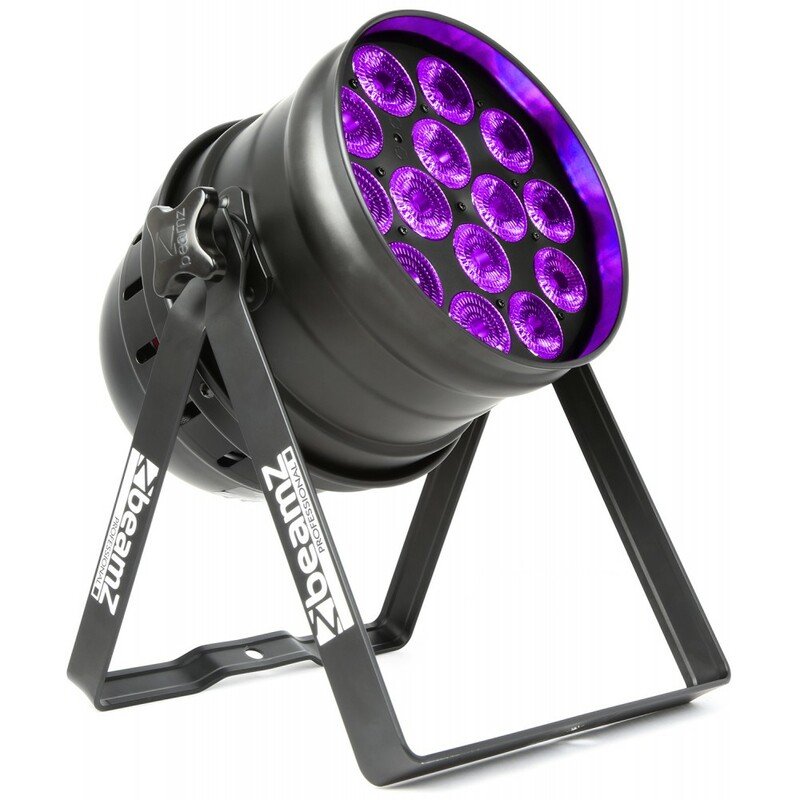 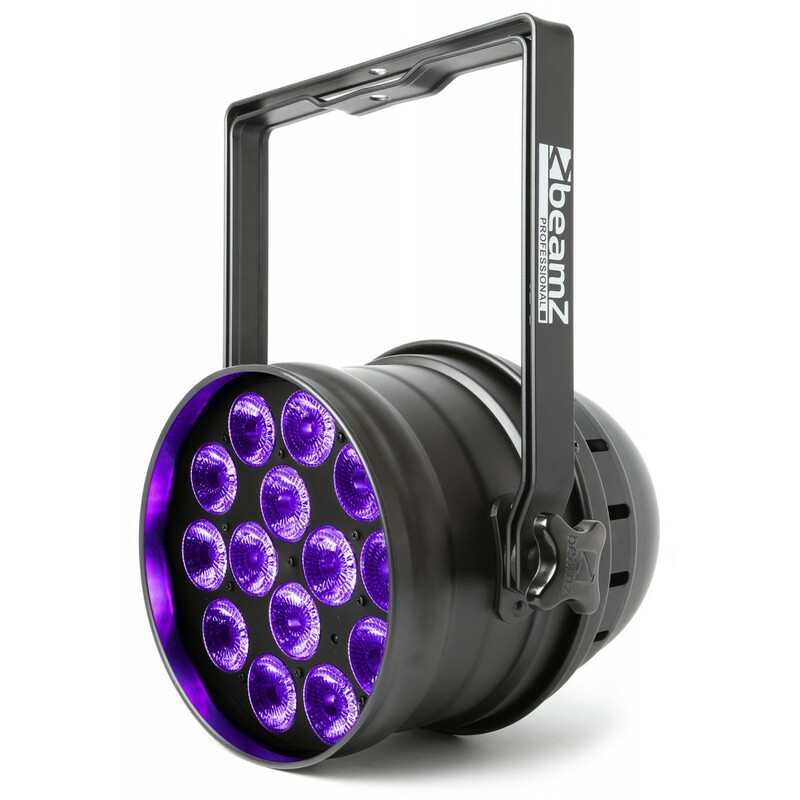 The Beamz BPP230 is a powerful UV light effect with 14x 15W LEDS and housed in a lightweight PAR 64 can. 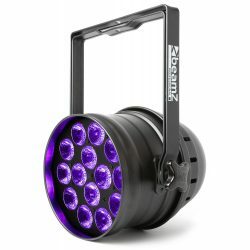 It can be operated via various DMX settings. The UV light provides an extra dimension to white clothing and objects illuminating brightly. 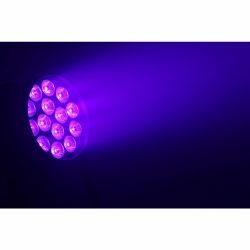 With the pre-programmed effects and strobe/fade function you are able to create a mysterious atmosphere. 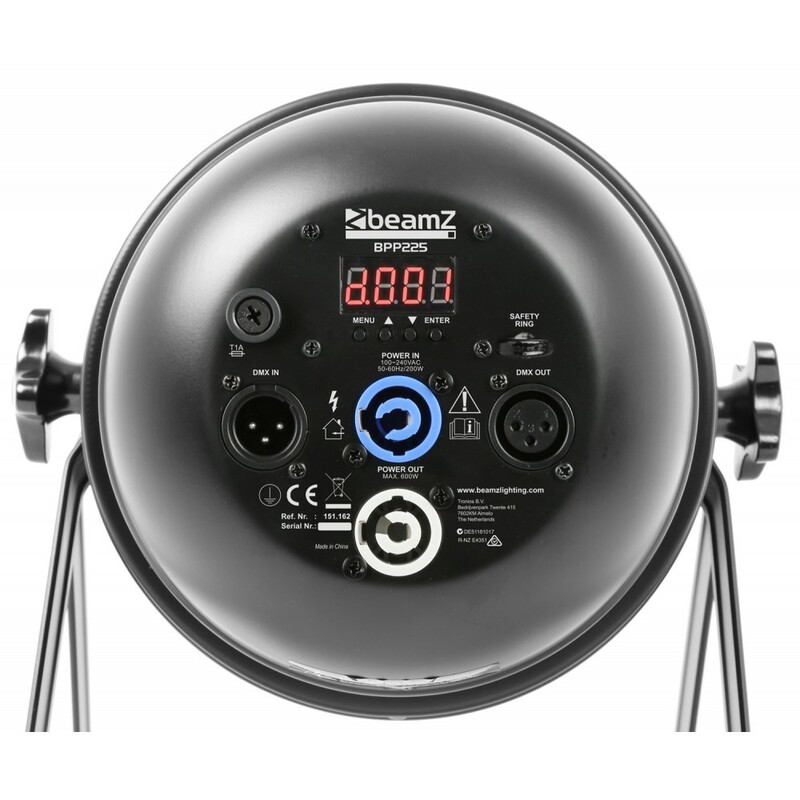 The extra Power Connector output enables you to simply link the power of multiple units together into a single socket. 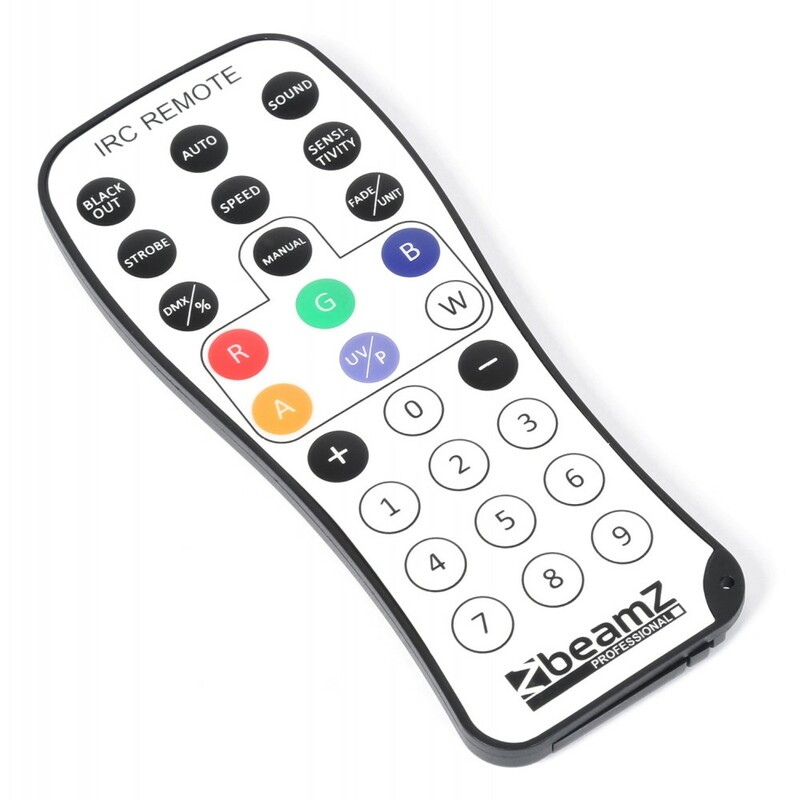 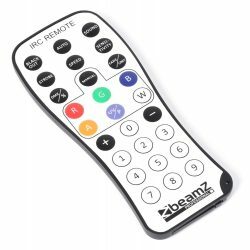 Also comes with an IR remote control.